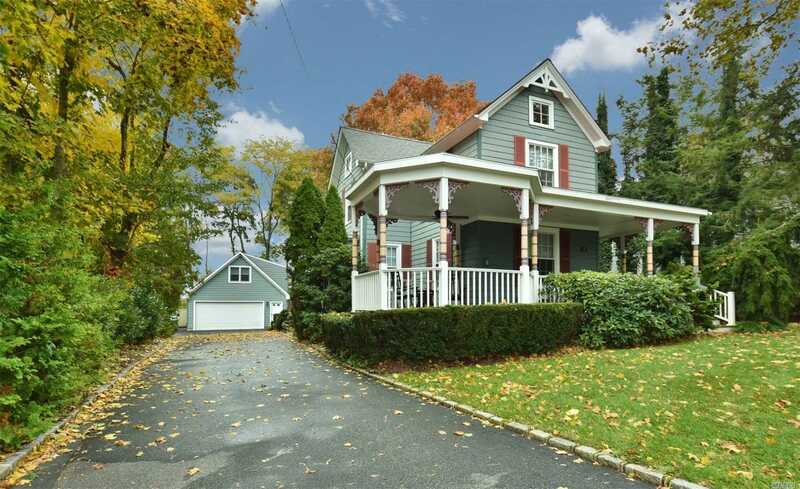 True Huntington Village Circa 1889 Colonial Offers Modern Living W/ Old World Charm. This Spacious Village Home Was Completely Renovated In 2015. Every Amenity At Your Fingertips In This Stylish Smart Home. Fall In Love From The Moment You Walk Onto The Covered Porch, Then Enter Into The Open Foyer W/ Original Stained Glass , Custom Moldings & Restored Stair Case. Wide Plank Floors, Raised Ceilings, Modern Bths, Stunning Master Suite & Chefs Kitchen Are Just Some Of The Many Quality Features.